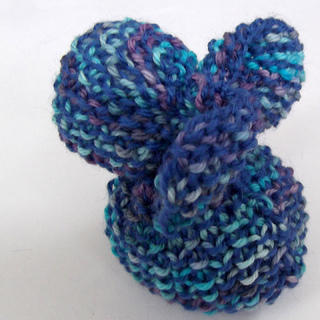 This rabbit is a great beginners project, and is a great way to use up small amounts of leftover yarn. 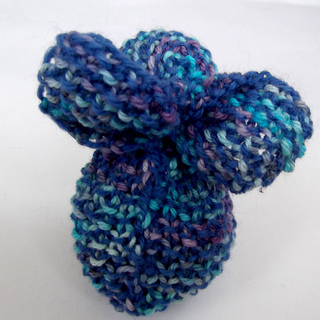 Makes a great baby toy or gift as part of an Easter basket. Advanced version switches colors every row in seed stitch.